One of the greatest collective fears of humanity is surely that one day the crabs of the world will rise up, grab the nearest blade, and reclaim the world for themselves. Okay, so that hypothetical scenario might be based slightly more on a fever dream I once had rather than any real global concern, but it’d still be terrifying, right? 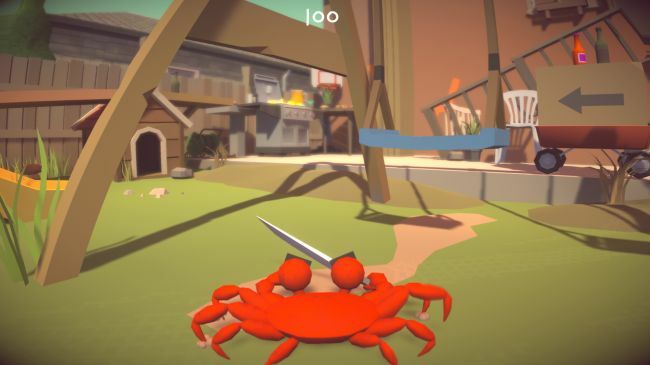 Well, Knife 2 Meat U is a brand new indie game that dares to imagine what might happen if a furious crab ever actually armed itself. Knife 2 Meat U is another comedy physics game in the vein of titles like Octodad and Human Fall Flat. You’ll take control of a crabby crustacean who swipes a kitchen knife and sets about terrorising those who were presumably planning to have it for dinner. You play an angry crab forging their way in the swamp wastes. Maybe your family was carted to the nearest chain seafood restaurant. Maybe you escaped the local aquarium. The only thing that really matters is how SHARP your knife is. 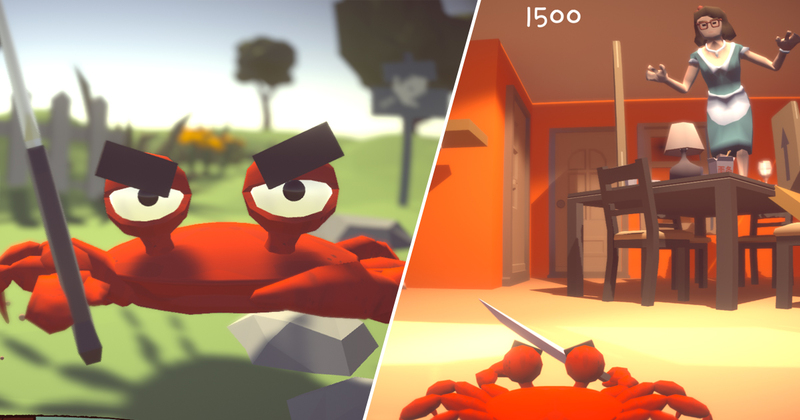 Use your knife to destroy objects and solve puzzles before you face the biggest bad a crab has ever seen other than a wooden mallet. You can check out some gameplay for yourself below, via Alpha Beta Gamer on YouTube. Watching an angry crab slowly skitter around to a silent movie-style soundtrack, smashing plates and bowls while the humans watch on helplessly is genuinely really funny. As with all comedy physics games, mastering the crab’s movements requires patience. More often than not, you’ll probably find yourself wildly flailing around on your quest for vengeance. Much like a crab with a knife probably would, to be fair. If you want to play Knife 2 Meat U for yourself, you can head over to the game’s website and name your own price. While it’s only a quick 15 minute experience, the developers definitely deserve some of your hard earned cash for coming up with such a silly game.